The HP LaserJet Pro M402n bucks the all-in-one trend and instead specializes in being the best black and white text printing machine that it can be. This singular focus and dedication is what earned it our Top Pick for Basic Printing Award. If the vast majority of your printing needs involve text-heavy documents, and you've ever watched the Olympic decathlon and thought, "These people would be able to pole vault so much higher if they just stopped doing all those other things," then the M402n is for you. It produces near perfect text and was the fastest model in our test, churning out 25 pages per minute. It forgoes wifi connectivity for a simplified USB connection. Some may find this annoying, but we found wifi printing was often more of a hassle than it was worth. One of its few downsides is the lack of double-sided printing, but the M402dn is essentially the same printer but with the ability to print double-sided. Below we discuss how the M402n performed on each one of our individual tests. The M402n scored a 9 in our text quality test, which saw scores as low as 3. It wanted a 10, and it wanted it real bad. 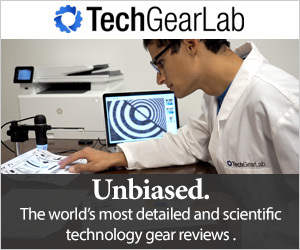 But 10's are very rare here at TechGearLab, they are reserved for products that just blow us away and present a level of quality that we could never have dreamed of. Being the nitpickers we are we noticed that the M402n sometimes made text look just a little bit light when printing italics in very small fonts. This minor detail ripped away the possibility of an elusive perfect score, but beyond this seriously minor flaw the M402n is flawless. Text looks crisp with a bold hue and utterly smooth borders. So don't let our overly pedantic score of 9 fool you, functionally the M402n produces perfect text, and you won't be disappointed. The M402n's text quality was near perfect. The M402n earned a 6 in our cost testing. This put it in the leading group as scores ranged between 2 and 7. It prints monochrome at about $0.03 per page or $15.48 per ream of paper. This was a somewhat average cost, but couple that with the M402n's low retail price and it had one of the lowest estimated lifetime costs at just $375. If you mainly just print text heavy documents the M402n will give you a great value in the long run. The M402n scored a 5 on our ease of use test, putting it towards the low end of a metric that had scores ranging between 4 and 8. It mostly lost points because of its simple design. It won our Top Pick for Basic Printing Award because it is, well, basic. It only prints in monochrome (black and white). It is also the only model we tested that does not offer wireless printing. This makes it a bit more difficult to print because you must be close to the printer and physically tether your computer to it with a USB cable. It also means only one computer can send a job to it at a time. However, this lack of wireless printing made the M402n far and away the least frustrating model that we tested. All of the other models had at least a few hiccups with their wireless connectivity during our testing, and it seemed it was never a simple fix. This problem was pervasive enough that we suggest having a USB cable handy, no matter what printer you own, for when the wifi eating monsters inevitably strike. We never had any connectivity problems with the M402n's tethered connection, and because we fully expected to have to plug in to print we were never really annoyed by the hassle. In fact, when our testers needed to print something for themselves, like a DMV form, they tended towards the M402n simply because they wouldn't have to deal with wifi hassles. This USB connection also made setup incredibly simple, just download a driver, plug in the printer, and you're good to go. The control panel of the M402n is also minimalistic with just a couple of buttons and a single line LCD display. This lack of a comprehensive interface is not an issue, however, because the simple, austere design tends not to require much troubleshooting. If you're looking for the increased flexibility of wifi printing, or are in a small office and want multiple computers to be able to talk to the printer at once, then the M402n won't work for you. However, if you feel the best tool is the most simple one that works every time, you're going to enjoy the M402n. The M402n is a simple, no frills models with a simple, no frills interface. As we've mentioned before, the M402n's bread and butter is text printing, and it certainly put all of its eggs in that basket. Accordingly, it earned the low score of 2 out of 10 in our graphics and photo printing quality test. While it shared that bottom spot with two other printers, it was far off from the top score of 7. Bars and lines in graphs were very noticeably pixelated, and came out looking very light and faded. One tester remarked that it was the kind of quality you'd expect from a cheap printer in a public library. Photos were similarly pixelated and faded. In short, you don't buy the M402n for its graphics abilities. The M402n is certainly a text oriented machine. It excels in neither graphics nor photos. Printing speed is one area where the streamlined, specialized design of the M402n shines through. It scored a 9 on our print speed test, giving it sole occupation of the top spot and putting it leaps and bounds ahead of the low scorers, which received a 2. It printed a blistering 25 pages per minute in our single sided text document test. To put that in perspective, the M402n could print Tolstoy's War and Peace in 48 minutes. Thats printing one of the longest novels ever written in the time it takes you to eat dinner. It did not slow down at all when printing mixed text and graphic documents. It also zipped through a full page photograph in just 14 seconds, though this super specialized text machine is probably not one you'd like to use for pictures. The M402n led the pack in our speed testing. The M402n has a list price of $270, but, as is common with printers, it is readily available online for much cheaper (as much as half off the list price at the time of this writing). It also prints black and white at a reasonable rate, giving it a fairly low estimated lifetime cost. The list price seems a bit steep to us, but if you can find it for cheaper and are mostly looking to print text, then the M402n is a great value. The M402n won't satisfy those looking for a versatile do it all machine. But if you're looking for a simple, reliable device to print top quality text with at a lightning-fast rate, you can't beat the M402n.